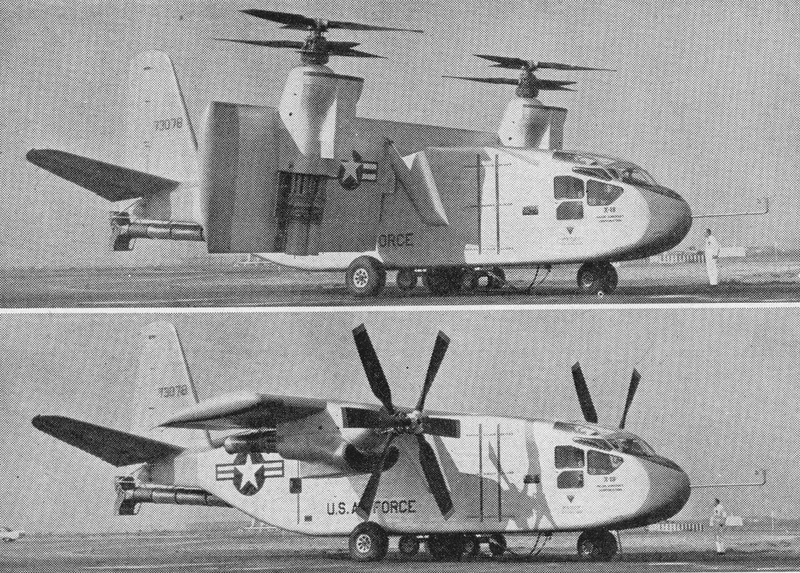 A prototype in the VTOL arena was the 33,000 lb Hiller X-18 tilt-wing convertiplane. The X-18 took to the air for the first time in November 1959, and in overall concept was configured as a transport type. Power was provided by two 5850-shp (4362-kW) Allison T40-A-14 turboshafts driving the two contra-rotating propeller/rotor units located one on each wing, and a 3400-lb (1542-kg) thrust J34 turbojet providing exhaust gases to a tail-mounted thrust diverter used for longitudinal control in vertical flight.